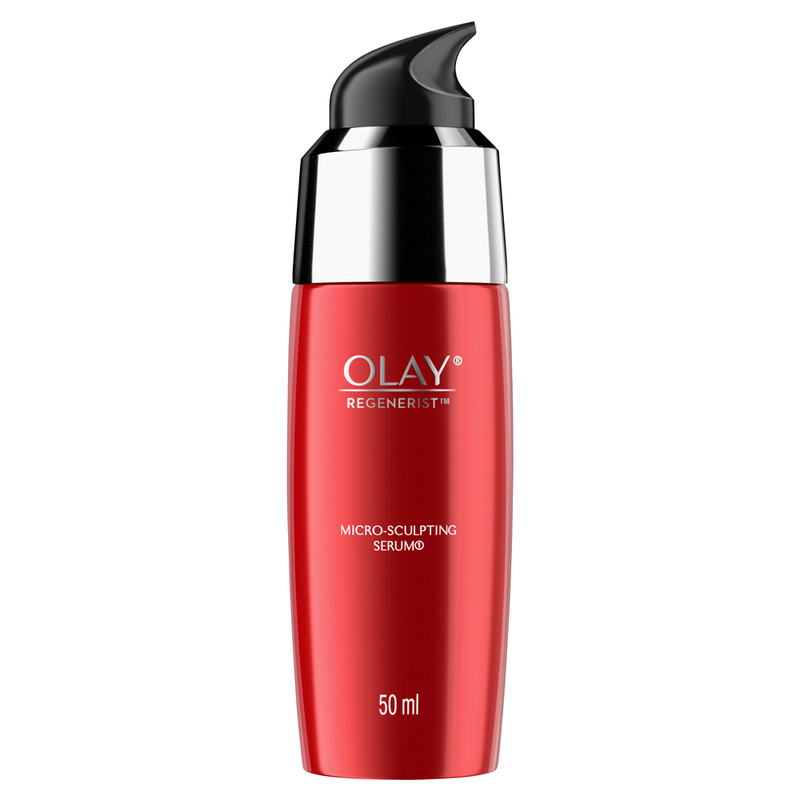 Olay Regenerist Micro-Sculpting Serum is a non-greasy serum infused with the highest concentration of the Regenerist range's signature amino-peptide complex and is Olay Regenerist's most powerful anti-ageing product to date. The fast-absorbing, non-greasy formula helps soften the appearance of fine lines and wrinkles and improves the skin's texture, leaving the complexion looking brighter, more radiant and significantly firmer. Dermatologically tested and non-comedogenic. Suitable for normal, dry and combination skin. To apply, massage a small amount on the face and neck in an upward circular motion, focusing on areas like the brow and jaw line, which need more support. Use morning and night. I don't usually use a serum, I like rosehip oil. But I thought I would change things up and try this serum. I really like the neat pump bottle that this serum comes in. It dispenses just the right amount of product. The serum has a light fragrance that reminds me of a less scented version of every Olay product I've ever tried it feels very silky and soft on my skin and my face felt nice and smooth after applying it. The texture of the serum is silky-like and thick (I guess heaps of silicone?). Due to its thick texture, toner prior to it is a must otherwise it would be difficult to apply the serum. It is quite mild and does have some moisturising effect but not too much, a good moisturiser afterwards is still in need. Something worths mentioning is the fragrance of this serum: it is exactly the same fragrance as one of the Pantene conditioners. Not a enjoyable fragrance to me. I had read excellent reviews of Olay's Regenerist micro-sculpting serum on beauty heaven and decided to purchase it when it was recently on sale. I am so glad I did, I had been using the total effects serum previously, and this serum is much better suited to my dry skin. The serum comes in an attractive red bottle with a pump to easily dispense the right amount of product. The serum itself is a thick liquid and cream to yellow in appearance. I apply two pumps worth of serum to my skin after cleansing and toning and before using my night time moisturiser. It is very hydrating ad leaves skin smooth ad plumped. I will definitely repurchase this serum and would recommend that anybody try it - it has excellent reviews for very good reason! Look out for Olay products on sale at your local supermarket and/or chemist. Smooth and hydrated skin; a lovely extra step to your skin care routine. Olay micro sculpting serum is a must have for anyone serious about anti -ageing. The serum comes in an air tight container to protect the vital ingredients from degrading (air and light), and has an easy to use pump top lid. The pump delivers a light gold lightly fragranced serum that is easy to smooth and blend over the skin. I use two pumps for my face and neck. The fragrance fades softly and isnt strong. Housed in this serum is a blend of peptides, antioxidants, amino acids and a high dose of the ingredient ninacimide. The water and silcone based serum soaks in instantly and imparts a slight shimmery glow. It does have mineral pigments that leave a shinny matte glow but doesn't look overdone. Ive been buying this serum for two years now. Although I have tried many, I keep coming back to this one. I always try to have this on hand and incorporate into my routine. I tend to use in the evening especially after vitamin a. I use vitamin c in am and cant mix c and the b in thistogether. The serum leaves my skin radiant, soft and hydrated. There's no clogging of pores even with its silcone base and no breakouts on my combination skin. My fine lines dissappear and my skin feels smooth. Daily use leaves skin looking fresh and young! Its also easy to use under other products. The ninacimide in this helps to soothe irritated red skin & helps to even out skin tone. With continued use my skin looks radiant and glows. As for the lifting claims, I know that a serum wont do this or any skin care products can but its a nice budget serum that contains all proven skin beneficial ingredients. Will continue to buy and use. Apply after cleansing toning or acids. Give time to soak in before spf and moisturizer.  Prior to purchasing the Olay Regenerist Micro Sculpting Serum, I had read many raving reviews about it. A 40% off sale was enough fuel to warrant me to purchase this product! Housed in a lovely red bottle, the serum comes with a hygienic pump dispenser which is marvellous at dispensing the perfect amount of product each time. The serum is a light gold colour and is light and non-greasy. Upon application, the serum glided on so smoothly and effortlessly on the skin, truly a luxurious experience! The Micro Sculpting Serum made my dry to normal skin feel plump and moisturised, and also more firm. Very fine laugh lines I had on my face diminished, definitely producing good results The scent of the product was lovely, and is very mild and definitely not overbearing. Absolutely loved this serum and will definitely repurchase in the future! Great results, luxurious formulation and I could say this would rival higher end and more expensive serums. I purchased the Olay regenerist serum when it was 40% off at Priceline, and I'll never look back. The slimlinebottle is easy to hold and the pump distributes the perfect amount without any cross contamination. It's a slightly thicker serum than I'm used to, but absorbed immediately into my skin. The colour is a beautiful latte colour with a pearl shimmer to it. After a month of using this, I have noticed a significant reduction in my fine lines, and my "frown" line between my brows has completely gone. I was actually considering Botox it was that deep before. My complexion has evened out, and my skin is so soft to touch. I used this serum recently and was pleasantly surprised. Aside from being easy to apply, it was so soothing and gentle on my skin. My skin looked clearer within the first few days of use. It also felt softer making my makeup sit comfortably on my skin. Use morning and especially night for a smoother feel the next morning. All skin types over the age of 30. I bought this first in the USA because the bottle was perfect for carrying in my liquids and gels bag while flying. Love that it has a locking dispenser cap to make it ideal for this, and these days I never go anywhere without it. Have used it ever since and bought it in Australia and the UK as well. Product is identical no matter where in the world you buy it. I love the brightening effect it brings as well as the silky smooth feeling it gives to my skin. Fine lines are instantly less obvious and it makes my skin look moist and healthy. Perfect for my sensitive skin with very mild fragrance and no irritation ever experienced. The metered pump dispenser also helps avoid wastage or over-use, and it lasts much longer than I ever imagined it would when I bought it that first time. Lock the cap, slip it in your bag and carry it with you all the time. Long-haul travel. Wipes away the "hours on a plane" dehydration effect and keeps you looking fresh despite the rigor of travel. After long consoderation i took the plunge to buy this serum at the priceline sale. I could not find much information on this product on the olay website but based on the reviews here it sounded really good. I like the bottle it is tall and slim so perfict for my already cluttered bedside table. The packaging is quite sleek and sturdy, i have dropped it many times without the pump wasting product which i love. Opening and using was quite easy, the pump doesnt distribute too much product and is easily controlled if i want a drop or a dollop. The actual product is very pretty aswell, it is a white/silver kind of colour and a tiny bit shimmery which makes it a joy to use. I found the serum to smell like shampoo kind of, it has a very nice clean smell. First i used this by itself after cleansing but i found it is hydrating but not enough for my skin after a shower. So instead of using it then i now use it after cleansing my skin with a wipe before bed. As my skin is not as dry then i found the hydration perfect without an additional cream. The serum is quite easy to move around and it makes my skin feel so soft straight after applying. I usually use a touch extra for my worry fine lines and it builds really well without being greasy, and i love that it doesnt dry too quick so i can gove my skin a gentle massage to fully absorb the product. I have used this product for about 2 months now and i have noticed my fine lines are softer and the delicate skin around my eyes arent as dry and coarse. I think i will purchase this product again but i am eager to try the rest of the range first as i have loved what i have used so far. Do a patch test, and when applying around eyes use a mirror. Dont mix this with other creams as some ingredients may give skin irritation if mixed. Dry skin, normal skin. Dull, and damaged skin would also benefit from this. I bought this to try when it was on a half price special to try instead of my usual serum. I have tried other (more expensive) serum in the market but unfortunately, cant see the difference they make in my skin. When I reached 30, I became obsessed on having a solid skin care routine that I started to read reviews, articles and try product to establish it. 1. Packaging - no dipping fingers to the product, which wont contaminate the product. Its pump bottle is convenient, 1 pump is enough for the whole face and neck. It doesnt expose the product's essential properties to air and sunlight. So the packaging is a thumbs up for me. Superb I will Never be without this!! I am a bit of a die hard serum fan & so picky I have used barrels full of serums including high end ones & only one I loved as I saw a difference but this one is superb I have not seen my skin looking so smooth in years seriously after 50 my skin changed big time. I adore this beautiful silky serum it spreads like a dream and makes others creams sink in & get to work. Beats a $300.00 serum hands down. If you see these on special stock up ! I won this serum in a prize pack! It's a really stylish looking bottle and easy to use pump action. A little serum goes a long way. The serum is a pearly colour, with a silky feel and light floral frangrance. It leaves my skin feeling so soft & smooth and is wonderful for my fine lines around my eyes - just love it! This silky textured serum comes out quite thickly from the pump pack container but spreads very easily and silkily into the skin. There is no dragging of the skin. It has a light, very subtle scent to it and it's really nice! Hard to describe but I would definitely call it a classy scent. My skin feels great after applying this - light yet hydrated and pampered. I do think it it tends to firm up the saggy baggy areas such as around my eyes. I love using this in the morning under my moisturiser to give my skin a lift and extra hydration treatment. The silver and red packaging is nice to look at too. This Regenerist product is serious about giving skin an extra boost At night time it's all I need around my eye areas. I've been using this serum at night as my night skin care and I really have been impressed with its quality. It feels like a velvety balm that glides over the skin. It sinks in fairly quickly and makes my skin feel silky smooth and soft. It really is so rich that it doesn't really need any other night cream or moisturiser over the top in my opinion. It smells nice too which is a bonus for me. I could use it in the morning too (per instructions) but I'm trying to conserve it. I like the look of the burgundy, smart looking container too and because it's a pump pack it is super easy to dispense. I think my complexion really looks a bit refreshed and my frown lines a bit less noticeable. People have been telling me that I look healthier so I'm putting it down to my Regenerist! I was sent a sample of this (40ml which is great for a sample), I used this for a week and it works excellently. my skin around my chin and eyes are firmer and smoother, highly recommend. Not to mention, the texture is super creamy. A recent purchase for me. I have been using Regenerist Serum for a while, but this was on sale so I thought I would give it a go. I've used a few prestige brands over the years, and this feels every bit as good. It is an extremely high quality product. My skin feels amazingly soft and smooth after only about a weeks use. I would highly recommend this serum. I'm not usually one to pay much attention to how a skin care product smells, and actually the better it smells the worse it is for my sensitive skin. But this serum smells fantastic! It's a great consistency and has some light diffusing pigment in it to provide just a touch of glow without being too radiant. It glides on very nicely and has enough silicones in it that it could work quite well as face primer. The packaging is well designed and I only need to use 2 pumps - 1 for my face and 1 for my neck. The only problem for me is that I find it too oily for my combo skin during the day, so I only use it night. I can't say I've noticed much difference in my skin tone, firmness or lines and wrinkles, but I've only been using it for a few weeks so fingers crossed it provides some medium to longer term benefits. Our edit of the best beauty offers and promotions of the week.